D.J. 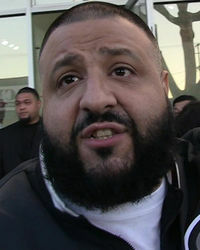 Khaled was born on November 26, 1975 in New Orleans, Louisiana, USA as Khaled Mohamed Khaled. We the Best Father-Son Soccer Duo!!! Throw Joint Birthday Bash Watch How It's Done!!! Parents Insist ... This Wasn't a Publicity Stunt!!! Son's 2nd Bday Party's a Home Run ... Carnival at Marlins Park!!! 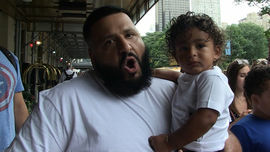 DJ Khaled And Son Asahd Play Soccer -- Major Goals Alert!